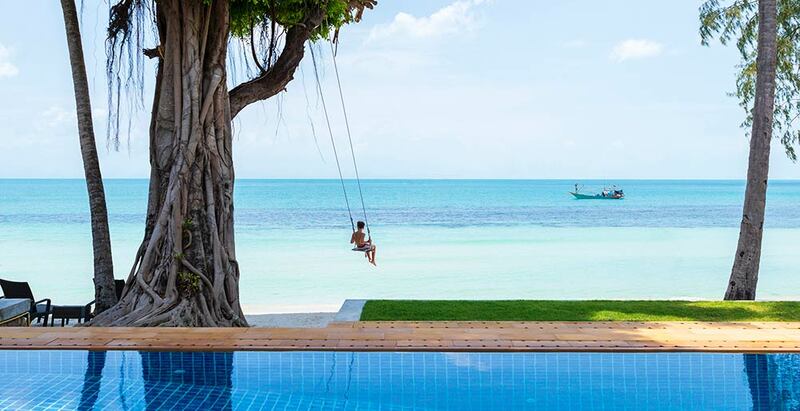 Right next to the powdery white sand of Samui island’s serene Lipa Noi beach, Waimarie is the ultimate absolute beach getaway, with dreamy views across island-dotted sea to the sunset. The six spacious bedrooms, surrounded by brilliant tropical gardens, can sleep up to 14 people in comfort, making this the ideal family retreat, friends reunion venue or corporate getaway. With its 15-metre pool, spacious open dining room and lounge, and its huge shady sala, this Samui villa has it all: a super-efficient staff, five-star cuisine, a private tennis court, kayaks and paddle-boards and all the luxury you can eat.